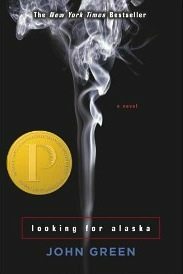 Sarah Polley has been tapped to write and direct Looking for Alaska, an adaptation of the 2005 YA novel by John Green, reigning king of the teen-tearjerker and author of The Fault in Our Stars. Looking for Alaska, an unlikely love story set at an Alabama boarding school, covers vastly different territory than Polley’s last literary film, Away From Her. Adapted from Alice Munro’s story “The Bear Came over the Mountain,” Polley was nominated for a 2008 Academy Award for the screenplay. Green, who was named one of Time’s 100 most influential people, caused “window-shattering screams” from loyal fans when he appeared at New York’s BookCon in late May. A week later, the film adaptation of The Fault in Our Stars made more than $48 million at the North American box office on its opening weekend.